GrubHub and Seamless, two of the biggest online food delivery services in the U.S., announced a merger that will allow the newly formed company to serve over 500 cities with food from more than 20,000 restaurants across the country. GrubHub founder Matt Maloney will take on the role of chief executive officer while Seamless CEO Jonathan Zabusky is staying on as president. For mobile users of either service the merger, which is still subject to regulatory approval, the merger is definitely a good thing. It combines Seamless’s popular app (and hopefully its frequent mobile discounts) along with GrubHub’s “Track Your Grub” feature, which sends users updates on the status of their online orders. “We are excited to combine the strengths of these two dynamic organizations in an industry that is rapidly gaining traction. We believe the merger will enhance the products we are able to offer both our diners and restaurants,” said Matt Maloney, GrubHub co-founder and CEO. The only question left is what the new company will be called, but as long as the two firms don’t settle on “Grubless” we’re sure the new company will keep customers well fed. 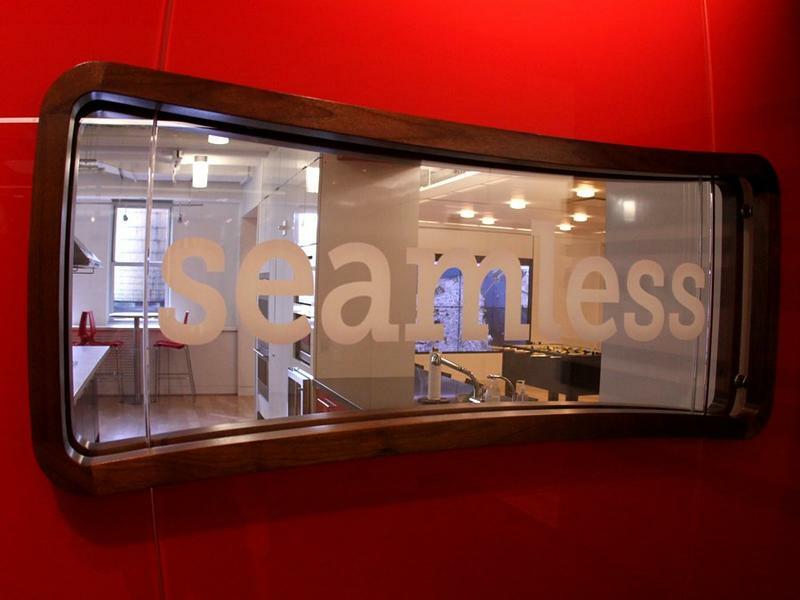 CHICAGO and NEW YORK, May 20, 2013 /PRNewswire/ — Seamless North America LLC and GrubHubInc. today announced the signing of a definitive agreement to merge two of the nation’s premier services for ordering takeout. The merger will create a combined company well positioned to drive more orders to restaurants, deliver a better experience for hungry diners and enhance services to corporate clients. The combined organization will enable diners and companies in more than 500 cities across the U.S. to order from more than 20,000 local takeout restaurants. In 2012, the online and mobile platforms of the two organizations sent approximately $875 million in gross food sales to local takeout restaurants, resulting in combined revenue well in excess of $100 million. Broader network and product offerings. The expansive network and diversified products and services of the combined organization will strengthen the company’s ability to serve restaurants and diners across the U.S. and U.K. Accelerated innovation. The anticipated pooling of the combined organization’s research and technology will help to streamline product development and better address the evolving needs of this dynamic industry. Enhanced financial flexibility and strength. The merger will allow the company to pursue growth opportunities while continuing to invest in its current business. Matt Maloney will serve as chief executive officer of the new organization, and Jonathan Zabusky will serve as president. GrubHub and Seamless shareholders will both have significant representation on the combined company’s Board of Directors. Brian McAndrews, an independent director on the Seamless board prior to this transaction, will serve as chairman of the new, combined board. The merger is subject to regulatory approval. The combined company’s management team is expected to draw upon the experienced group of leaders from both companies. As well, the combined organization’s name and marketing brands are expected to be determined following regulatory approval.